Why use a herbicide? What advantage does a farmer get? That’s just the kind of honest question that comes to the mind of lots of folks on a regular basis — What is the advantage of using a herbicide for a farmer? — so I decided to put some of my thoughts together and put an answer down for whoever it was that was asking. While it seems like a straight-forward question, this question seems a bit hard to answer as different herbicides can have different benefits — both for farmers and for the general public. Let me start with the big picture though and see what I can offer that may be helpful. 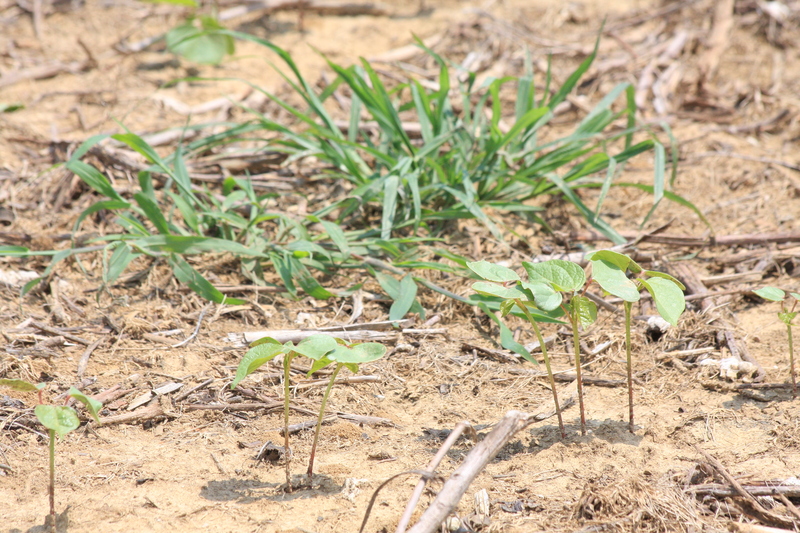 Limiting resource use – when you let weeds grow uncontrolled in your field or garden, they use water, fertilizer, etc that could otherwise be available for the crop you are growing for food. Since our environmental resources like water are finite, good stewardship of them is something that ways heavily on the minds of farmers and is something that the rest of us need to be conscious of as well. Protecting the crop yield — competing with weeds for water, nutrients and sunlight can make it hard for crops to yield as well. In the case of something like beans, you can get fewer pods to set on the plant and fewer beans in those pods to fill out. Those things are costly since farmers usually get paid on how much they grow and if yields were typically lower, supply and demand indicates food would be more expensive for all of us. Ability to harvest — some weeds can become so large that uncontrolled areas of a field may not be able to be harvested with machinery. Big losses there which could again effect food prices for all of us and potentially on farm profitability. Quality at harvest — many crops are destined for food grains and some seed can be mixed in right in the field. I especially remember how much this impacts a crop like rice or wheat where the small pieces of grain can be similar in size and shape to weed or grass seeds. When I go to the grocery to but rice, I like it to be all rice, not for me to have to sort through grains and pull the weed seeds out. Crops that have similar size weed seed contaminate them are discounted and so a farmer has lost some of his earning potential if he doesn’t control weeds. Weeds go to seed & increase your problems in the future — when you let weeds and grasses grow, they will begin reproducing either by seed or from their roots / rhizomes. This means more weeds next year and the likelihood of bigger losses. Farmers tend to think both short-term & long-term so they keep it in mind that handling a small problem now is a lot easier than controlling a big problem later. Over years, fields can have fewer and fewer weeds appear and it means farmers can control weeds more easily. There are a few ways to control weeds. Physical control — In my garden, I tend to simply pull weeds up by the roots or use a hoe on them. But when you move to larger fields this means running a plow to control weeds before starting the crop or a cultivator during the season to pull weeds up. I wrote a post about “t is for tillage” that explains further. Plant competitors — Some farmers find planting cover crops or keeping the field in production in the off-season with crops like winter wheat can be helpful as these will compete with unwanted weed species and provide a well-known plant to control. 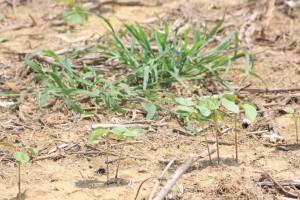 Brian has a good post on the use of cover crops. Herbicides for no-till or minimum tillage — Some farmers find it better to use herbicides instead of plowing as the soil structure gains the ability to hold water better and earthworms develop the soil’s health, etc. this is something that has been growing for decades in the US and a benefit we all realize from this is the soil tends to help better filter water so you don’t have runoff. Controlling specific weeds & grasses or broad-spectrum control — there can actually be dozens of types of weeds in a field. Some are broadleaf weeds, others are really grasses depending on the impact what is growing can have & how many species there are, farmers will decide whether to use something that controls a very few weeds or a wide range. The farmer will also consider what is planted nearby, whether there is water nearby, etc. Some herbicides leave a zone of protection in the field & others work based on contact only — when you first plant a field, knowing what weeds you had in that field last year, a farmer may want to put out a herbicide that leaves the field protected for a week or so, something that will give the crop they are planting a chance to get ahead of weeds. Other times a farmer may want to just get rid of the weeds that are there. 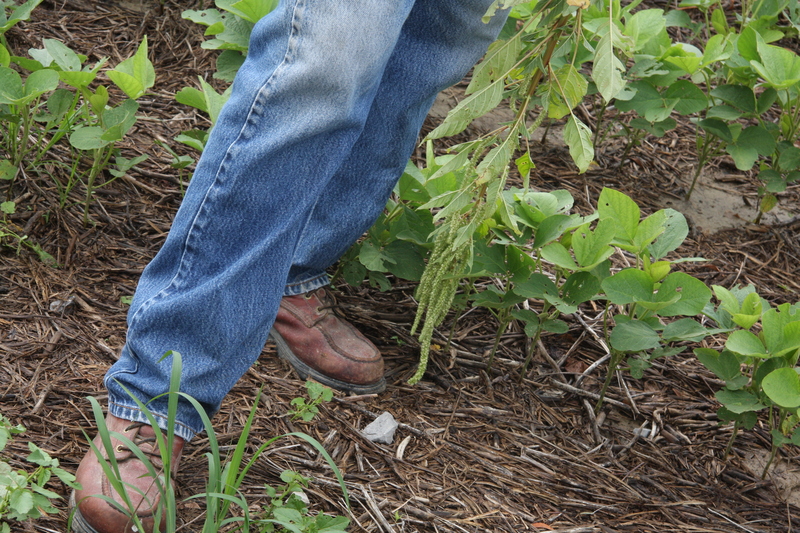 Different herbicides offer different advantages based on the use. So when you put the two things together about why you need to control weeds and how you do that, you get an idea on why farmers and others would use a herbicide. Weeds are a problem for all farms — conventional, organic and biotech / GMO — there are products and practices that fit all of them. I’d love to hear about the things I’ve missed as I wrote this. I’m sure various farmers have different reasons to farm the way they do — I’ve only seen some of the incredible diversity that’s out there! Some weeds may not only ruin the quality of the harvest but may be toxic to humans and animals due to chemicals naturally produced by the weed or physically harmful due to physical structures such as thorns. Another thing for you to comment on (with your professional contacts) is the difference in herbicides. Contact vs. residual, how some herbicides stay in the soil longer, while others break down faster and are less of a problem to the environment. Michael, it sounds like you’re implying that all residuals are bad? That’s very simplistic as well as untrue. I don’t think he meant that. Awesome explanation of herbicides, Janice!